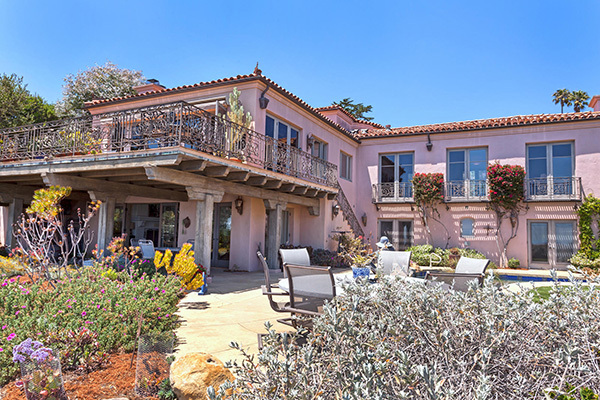 The asking price of 4045 Bajada Lane has been reduced from $15,773,000 to $12,997,000. Listed by Compass, 4045 Bajada Lane is a 5,580 sq.ft. 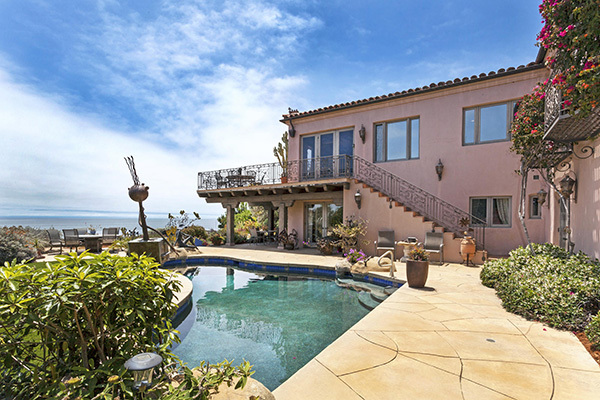 Mediterranean 4 bedroom/4.5 bath estate on 1.84 acres on a gated street in Hope Ranch with beach access. 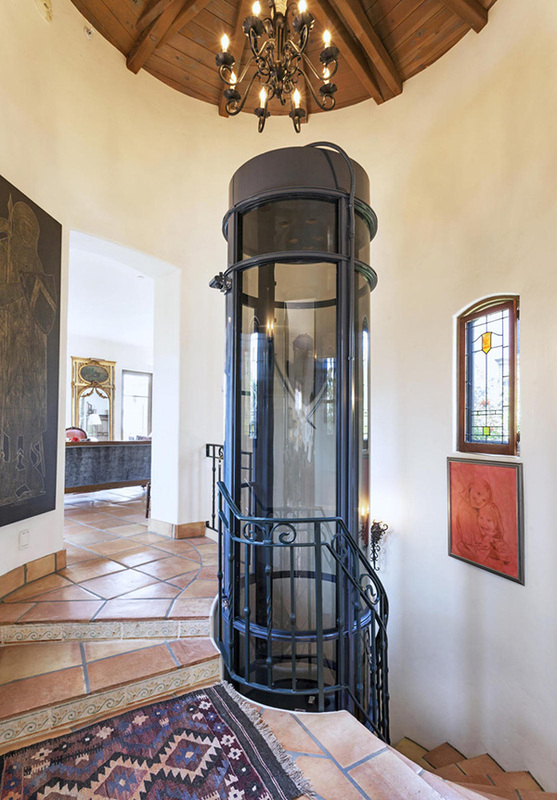 Features include an office, elevator, pool and a tower room/art studio. 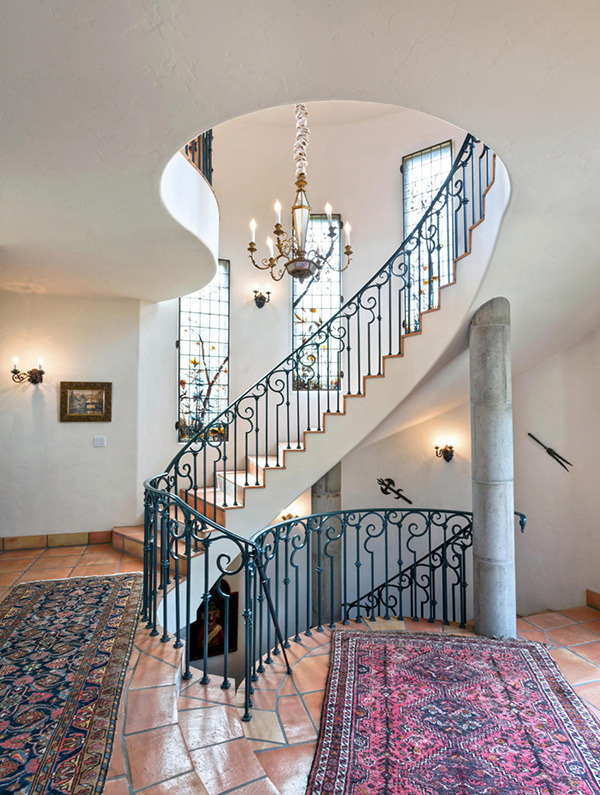 A dramatic entry opens to a three-story high curved iron staircase with decorative window glass panels from the 1880’s. 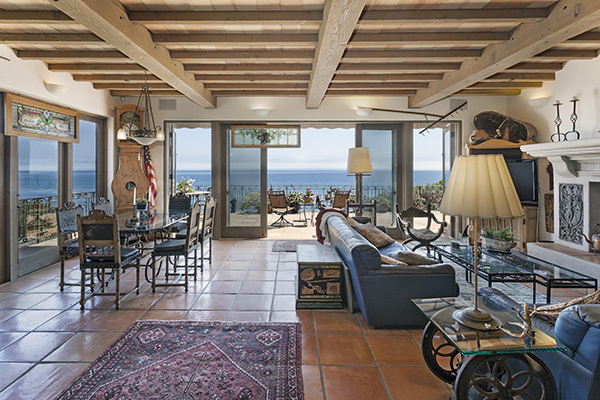 The living room and dining area feature three sets of French Doors with balconettes that open to sweeping ocean views. 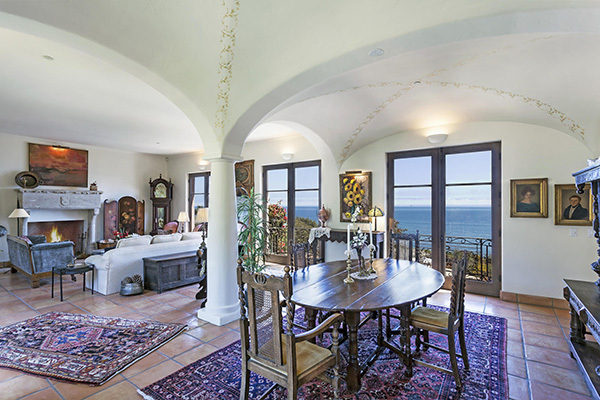 Arched ceilings are the focal point of the dining area. 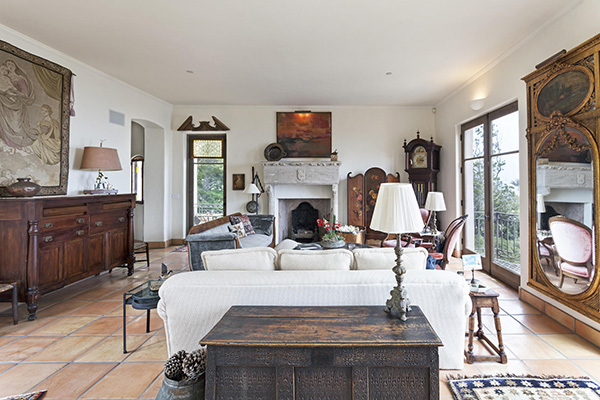 An impressive stone fireplace in the living room from circa the 1400’s compliments the unique antique details and hand painted tiles throughout the house. 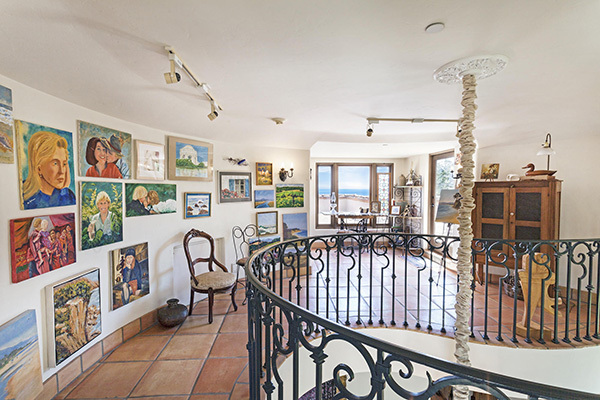 The kitchen with double ovens, microwave and generous kitchen isle, overlooks the breakfast nook and family room, which leads to a grand terrace with “Guarde de Courte” Louis XV style iron railings, ideal for outdoor entertaining. 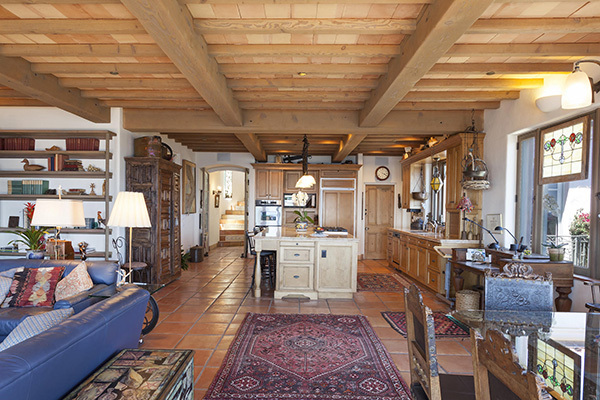 The kitchen and family room ceiling are covered with tile and massive beams. 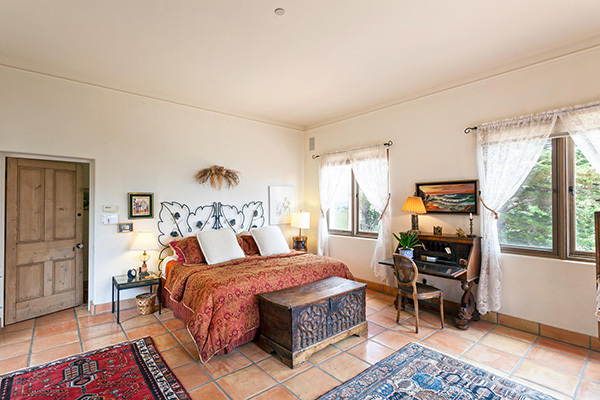 The master bedroom with charming side patio looks out to the ocean as well and has a special elevator just outside. The master bath includes sink counters made of French marble steps. 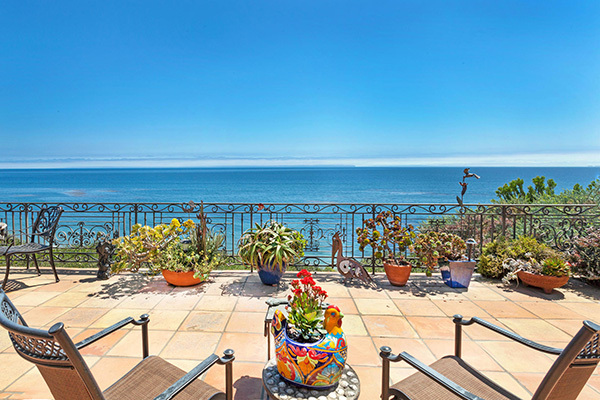 Upstairs the tower room with Art Studio could be used as an office and has a rooftop patio with broad ocean views.Downstairs you will find two guest bedrooms with baths and a guest apartment that each have French doors leading to the patio and pool area. The private guest apartment complete bedroom and bath has a kitchenette, dining area and inviting living area with fireplace. There is a 3-car garage with sports court outside, as well as ample parking in the front of the home. 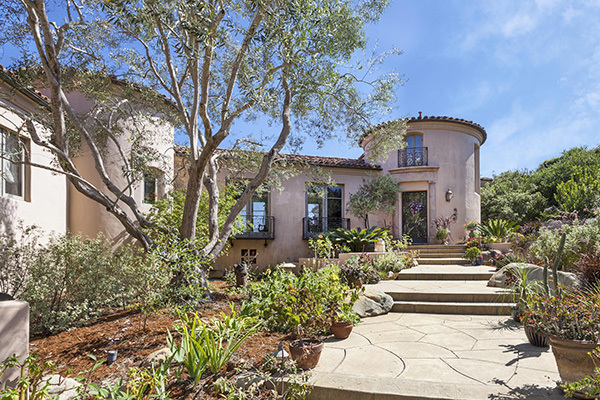 4045 Bajada Lane came on the market in July 2018 asking $17,700,000. 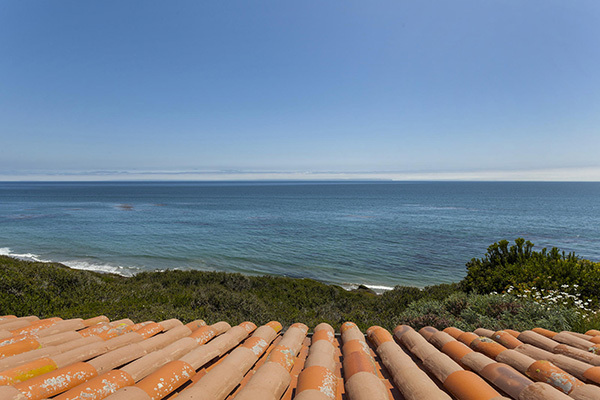 Its price was reduced in November to $15,973,000, in January 2019 to $15,773,000 and in April to $12,997,000.